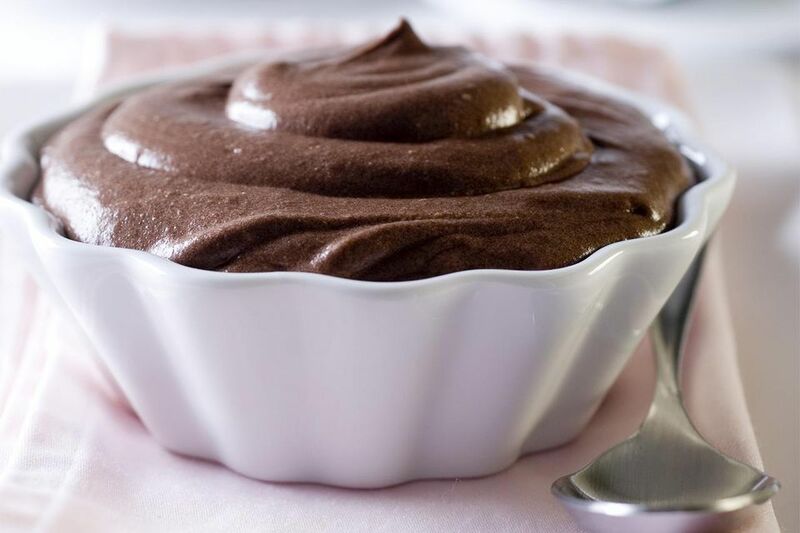 Chocolate mousse is the quintessential romantic French dessert. Heat 2/3 cup of cream in small saucepan until it just begins to steam. In a separate bowl, whisk together the egg yolks and sugar, and then add ½ hot cream, whisking constantly, until the mixture is thoroughly combined. Add the warm egg-cream blend back into the hot cream in the saucepan and cook over low heat, stirring constantly, until the mixture reaches 165 F on a digital candy thermometer. Remove from the heat and stir in the vanilla extract and melted chocolate. Chill the chocolate custard thoroughly. Beat remaining 1 1/3 cups of cream in a separate bowl until stiff peaks form. Thoroughly stir ½ cup of the whipped cream into the chilled chocolate custard, and then gently fold in the remaining cream. The chocolate mousse is ready when the chocolate custard is thoroughly incorporated into the whipped cream, and no marbling shows. Not Just a Chocolate Mousse but a Triple One.